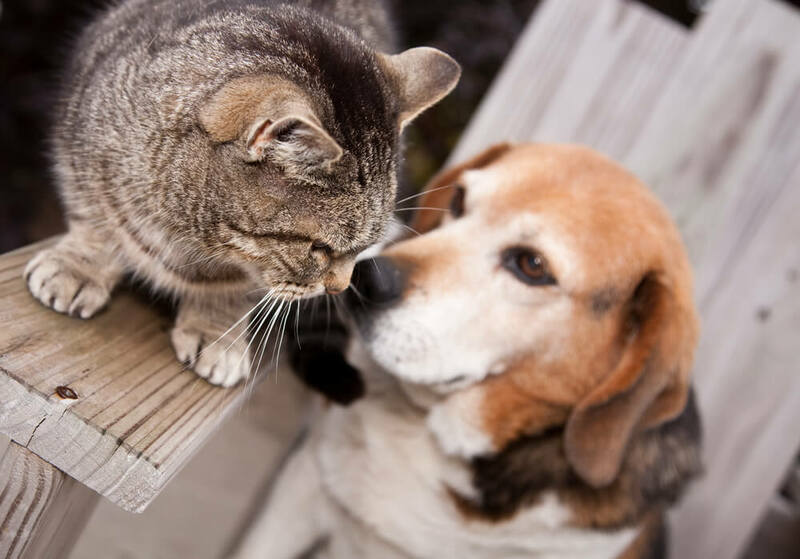 How to turn your cats and dogs into best buds! Yes, it is possible. And yes, you should read the article that follows. Cats and dogs are famously not the best of friends - but there are steps you can take to try and help your pets become pals! 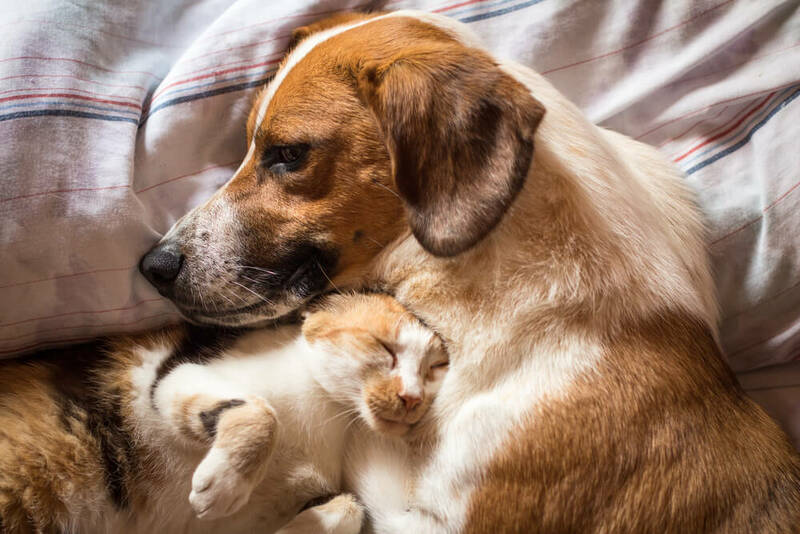 Occasionally, you might find that your furry friends just aren’t suited to being friends with each other, but with these tips - and a bit of patience - you should slowly and surely be able to help your cat and dog feel happier and calmer around one another! Everyone likes to feel safe and secure when they meet new people, and your kitty is no different! The best way to make them feel confident before meeting their new doggy pal is to give them their own private territory. By putting your puss in their own private room - separated from the dog by a door - they will be able to smell your pooch without seeing them, and get comfortable with the canine scent. We recommend FELIWAY CLASSIC Diffuser to make your kitty more comfortable when introducing a dog! Prepare your kitty for meeting your hound by making sure they have a safe, dog-free zone they can retreat to whenever they want! Fit a doorway with a baby gate that has a hole the cat can fit through but your dog can’t. Now your favourite friends are ready to meet! Make the introductions - but take things slowly! 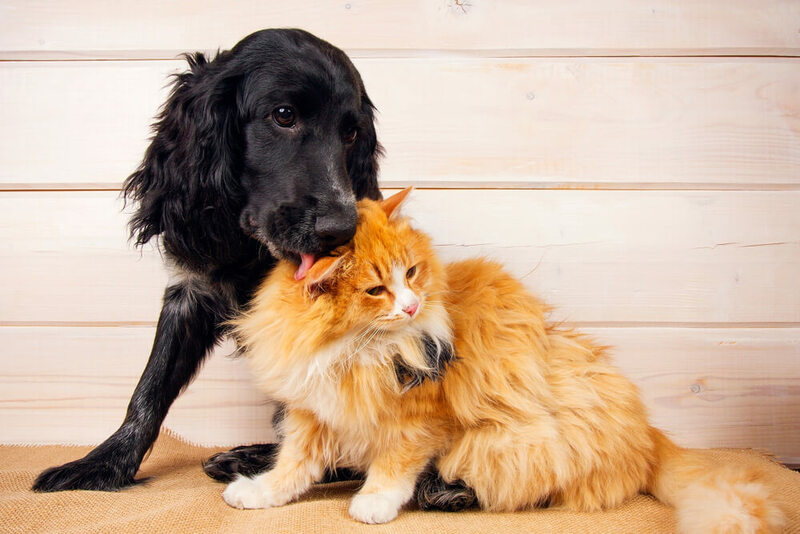 It’s important to make sure your kitty meets your pooch gradually, and step by step. You wouldn’t want to give anyone a shock! Once your furry pals have become used to each other’s smells, you can let them see each other - but don’t allow any contact just yet! Just keep them on either side of the gate so they can get used to being around each other. If your pooch reacts badly, make sure you distract them with their favourite toy! The next step is to let them get used to being in the same room, with your kitty loose and your hound on their lead - again, so you can redirect your pooch’s attentions if they have a negative reaction to the cat. Finally, once you are sure that your pooch and puss are comfortable around each other, you can let your kitty emerge from their dog-free zone in their own time to say hello to their new doggy friend - without the dog being on a leash. REMEMBER! Always try and keep your dog and cat calm before they meet each other! Don’t hype them up or excite them with any intense game sessions before letting them spend time together. Train your dog to be polite to your cat! No one likes to be messed with, and the same is true for your cat - so you need to be clear with your hound that your kitty is NOT a toy! 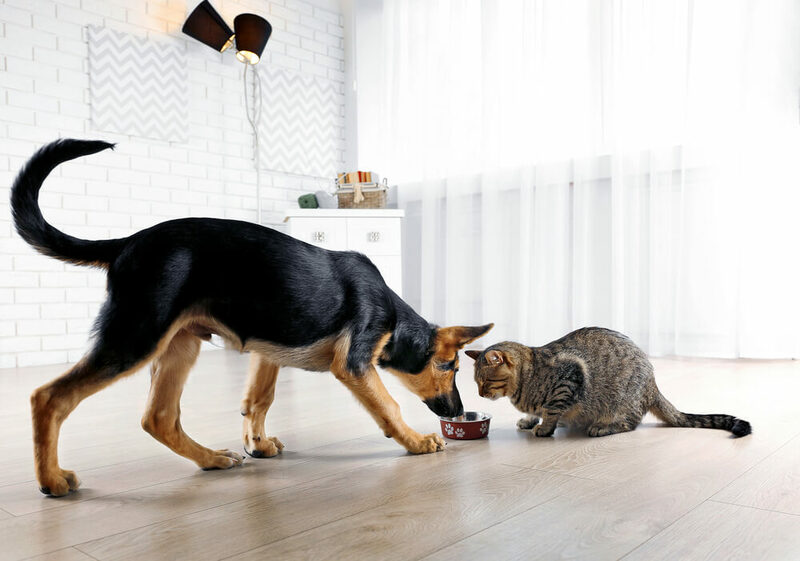 It’s crucial to train your dog not to chase or torment your cat - and sometimes this may mean keeping your pooch on a leash in the house, and stopping them stealing cat food or going through the kitty litter! A good training programme (or a refresher programme if they’ve already done one) is also a great idea to make sure that your hound keeps paying close attention to your cues. Learning is a two-way street though! If your kitty teases your hound - for example by batting the dog’s feet as they walk by - allow your dog to chase the cat for a short while! Your puss needs to learn the pooch isn’t a toy either! You should never force your puss and pooch to hang out against their will - how would you like it if you were locked in a room with a weird stranger, with no way of escaping?! Always make sure that their essential areas are kept separate - your pets need space too! Both of your pets need their own food and water bowls, and the cat’s bowl should be kept far away from the dogs! 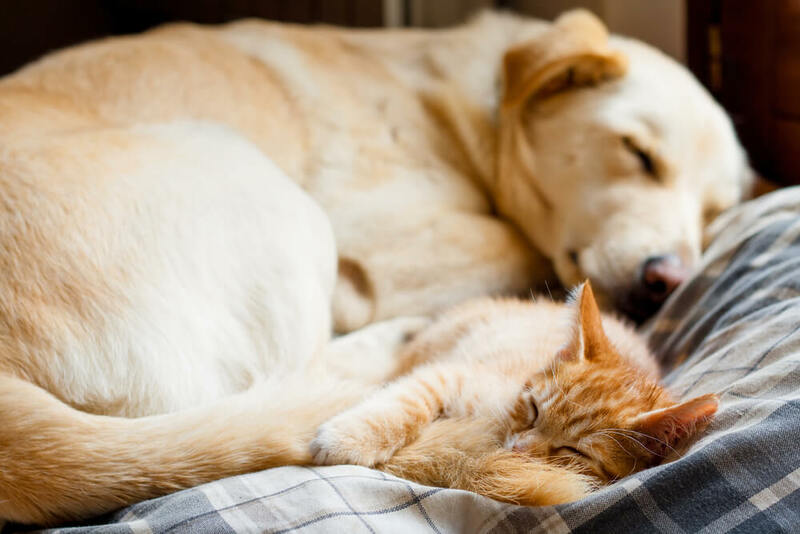 The same is true for their bed areas - both your kitty and your pooch will sleep more soundly if their bed areas are inaccessible to their new friends. Finally, always make sure that your kitty has a clear exit route when they are spending time with their poochy pal. Cats can be stubborn, and like to come and go of their own accord! One surefire way to keep your furry friends happy is to make sure you congratulate them for playing nicely together with lots of TASTY TREATS! Whenever your dog acts calmly by sitting or laying near the cat - or even ignoring it! - you should give them a treat to congratulate them on this positive attitude. Likewise, reward your kitty with treats or a bit of stroking and praise whenever they have been able to relax around the dog or had a positive interaction with them. Always give the rewards calmly, to help reinforce the relaxing atmosphere of friendship that you are creating between your pooch and your kitty! With a little patience, training and rewarding, you will soon have the satisfaction of creating an even happier home for your much-loved furballs. Keep it up, and before long you will be one big, loving family who can ALL enjoy each other’s company!